LEAP is an annual platform from contemporary dance company Frontier Danceland, showcasing the young trainee dancers of the M1-Frontier Danceland PULSE Programme. The PULSE Programme is now in its ninth year, and since 2014 has been supported and co-presented by M1. It takes in aspiring dancers between the ages of 15 and 26, who undergo a year-long programme of weekly 4-hour classes in various dance techniques. In LEAP 2019, the participants of the 2018/19 PULSE programme, as well as a number of PULSE alumni scholars, perform in six pieces choreographed by Frontier Danceland’s artists, who are also instructors on the PULSE programme. This seems like a beneficial arrangement for the participants of the programme, who experience sustained interaction and growth with the same artists/teachers. Unfortunately for this performance, the choreographic coherence of the pieces varies. 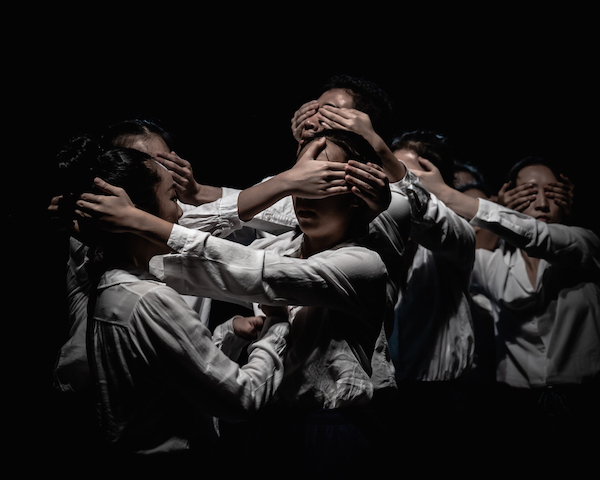 Amongst the pieces choreographed by the company artists, “Pottyscore” by Faye Tan comes across as unique in its playful yet dramaturgically coherent structure and premise. The work feels like a cross between a Balanchine neoclassical piece and the Trocks – references to the former lie in the music and the clean abstract movements, while I am reminded of the latter due to the two dancers’ shenanigans in trying to one-up each other during the performance. This work stretches the dancers’ versatility, as they are required to perform not only in terms of dance technique, but also in terms of the comical gesturing that is part of the piece. I imagine and hope that these dancers will go on to develop their own unique performance qualities even further. Most of the other pieces, however, contain choreographic issues that require more working through. “Ravel,” “Click” and “Same Same but Different” for example, all work with distinct sections but without clear links between the sections. In “Click,” the dancers are attired in colourful beach-wear with palm tree and floral patterns. We also hear the sound effect of waves on the beach at the start and end, when a motif of the dancers miming the use of mobile phones appears. While this motif could potentially signal a commentary on a certain issue, here the potential does not materialise; the link between mobile phones and the beach remains tenuous. 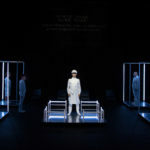 The piece’s coherence suffers even more given the middle sections, where the mobile phone motif disappears, and the choreography tends to favour running in various spatial patterns where it is hard to read anything beyond a purely aesthetic level. 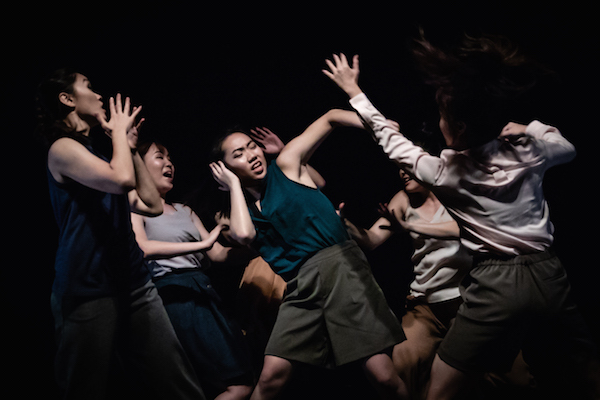 LEAP 2019 includes a piece choreographed by Artistic Director Ms Low Mei Yoke, titled “Happy Birthday.” This piece stands out within the programme as one that is dramaturgically coherent, and that contains interesting movement sequences and spatial patterns beyond having dancers mostly running around the stage. “Happy Birthday” depicts the ambivalence in the ubiquitous social tradition of birthday celebrations – a birthday may not always be a happy occasion, and may recall sad memories for some people or at certain points in life. This is quite clearly communicated in the dancers’ relationships with each other – the six dancers appear to be a tight-knit group of friends, yet in their unison sequences we see individual nuances, and in their duets we see support as well as struggle. Significantly, this piece is performed fully by the PULSE alumni scholars – their maturity as dancers and performers is a factor that enhances the nuance of the piece. As I watch the performance, one of my main thoughts concerns the framing of LEAP. 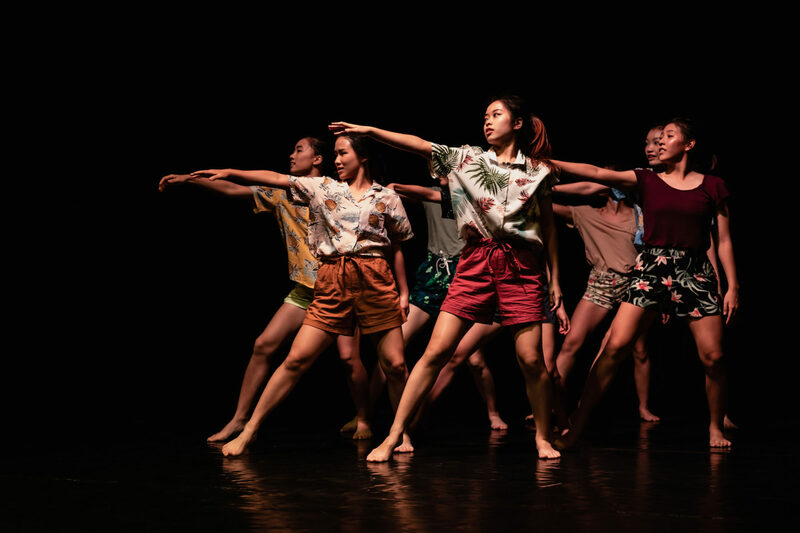 The PULSE programme is certainly a crucial initiative by Frontier Danceland, given the few opportunities for pre-professional contemporary dance training in Singapore. 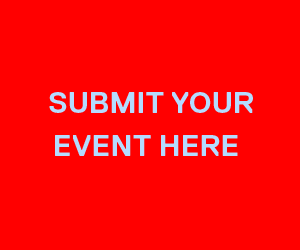 As the performance showcase of the PULSE programme, LEAP gives the programme’s scholars an opportunity to perform publicly, which is of course a necessary part of any programme that aims to train potential professional dancers. Aspects of the way the performance is framed, however, remind me of a school recital – especially the use of emceeing to introduce each piece, and the thinly-veiled commentary encouraging audience members (who might be potential participants or might know of others interested to participate) to sign up for the next run of PULSE. I am curious as to whether such a framing of the performance is intended, as it appears to undermine the potential professional aspirations of the scholars on the programme. LEAP is one of Frontier Danceland’s main staples in its yearly programming, the other three being Dancers’ Locker, a choreographic platform for the company’s own artists; SIDES, where works by external choreographers are performed by the company’s dancers; and Milieu, a year-end performance usually consisting of longer works choreographed by Frontier’s Artistic Director Ms Low Mei Yoke and invited choreographers from overseas. Les Ballets Trockadero de Monte Carlo (affectionately known as The Trocks) is an all-male comedic ballet company formed in 1974, which performs spoofs of well-known ballets in the Romantic and Classical ballet repertoire. 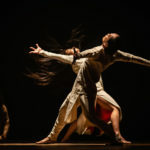 LEAP 2019 was presented by Frontier Danceland on 8 – 9 March at the Goodman Arts Centre Black Box. This review is based on the performance on 9 March, 3pm. Guest Contributor Jocelyn Chng is a freelance educator, practitioner and writer in dance and theatre, and has written for various platforms since 2013, including The Flying Inkpot and Centre 42. She holds a double Masters in Theatre Studies/Research, and a Postgraduate Diploma in Education (Dance Teaching). At the heart of her practice, both teaching and personal, lies a curiosity about personal and cultural histories; writing about performance allows her to engage with this curiosity. She sees performance criticism as crucial to the development of the performance landscape in Singapore, and a valuable opportunity to contribute to ongoing discussions about performance and society. Her reviews for the Centre 42’s Citizen Reviewers programme can be found here.